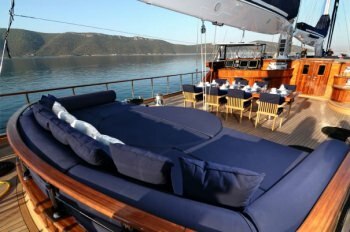 CLEAR EYES is a 43m (141ft) Custom Built Sailing Yacht built in 2010 accommodating 10 guests in 5 cabins with Captain Atalay Akarsu (9 crew) offering yacht charters in Croatia, Greece, Turkey, Italy, Naples, Sicily, the French Riviera, Corsica, Sardinia. 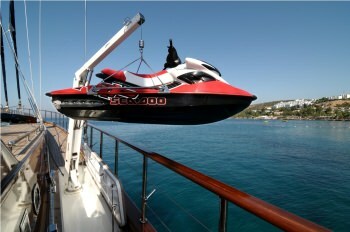 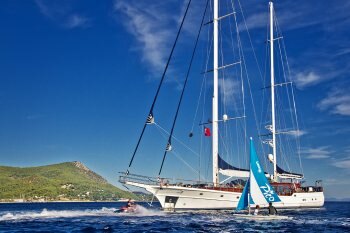 Summer Sailing Area: Croatia, Greece, Turkey, Italy, Naples, Sicily, the French Riviera, Corsica, Sardinia. 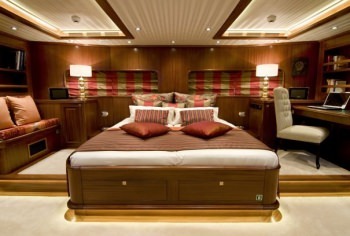 The Spacious Interior Layout Of Clear Eyes Provides Accommodation For Up To 10 Passengers In Five Large Guest Staterooms And The Immense Owner�s Stateroom, While Up To 8/9 Crew Are Accommodated In Three Comfortable Crew Cabins And A Pleasant Captain�s Cabin. 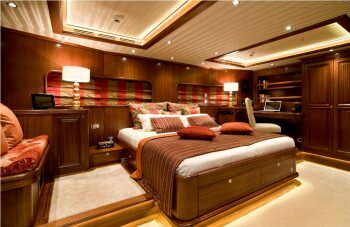 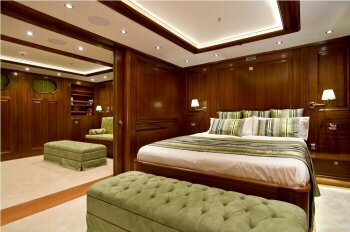 The Two Guest Staterooms In The Centre Of The Yacht Are Separated By A Sliding Panel Wall That Allows The Guest Staterooms To Be Combined If Necessary To Form A Master Stateroom With A Private Lounge And Bedroom, As Well As Two En-suite Bathrooms. 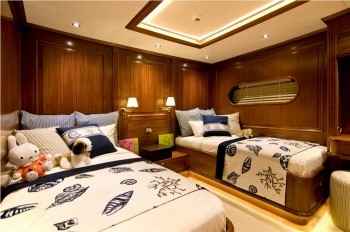 - JacuzziAll Cabins Are Equipped With State-of-the-art Tv, Entertainment, Communication And Internet Equipment. 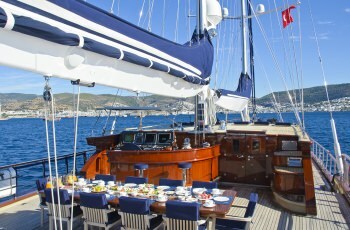 Gsm Wireless Is The Standard And Guests Are Welcome To Bring Their Ipod. 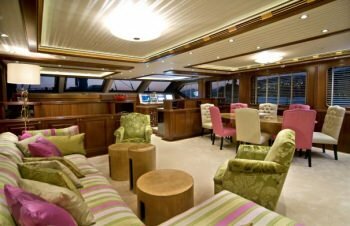 Guests Can Choose Films From The Huge Server Library Of The Yacht – All Can Enjoy Watching Their Dia Shows Of The Photographs Taken During The Day Or Just Follow The Route Of The Ship. 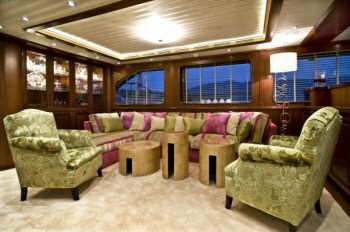 The Tv Of The Main Saloon Allows Operating The Mast Camera To Check Out Beaches Miles Away. 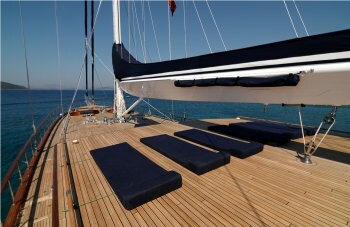 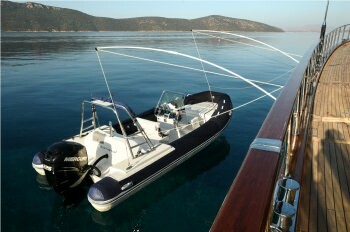 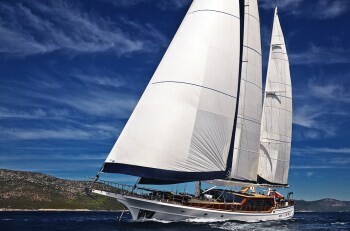 S/Y CLEAR EYES Yacht Charters.